It's no secret, I have a definite obsession with patchwork. There are some images that instantly hit me as a perfect opportunity to show off some mixed-and-matched fabrics. This was one of them! 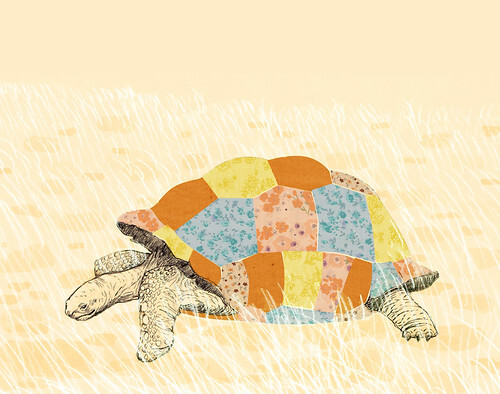 I loved piecing together flowery fabric to make this tortoise's shell. Want a Slow & Steady print for yourself? It's available in 5"x7" and 8"x10"!